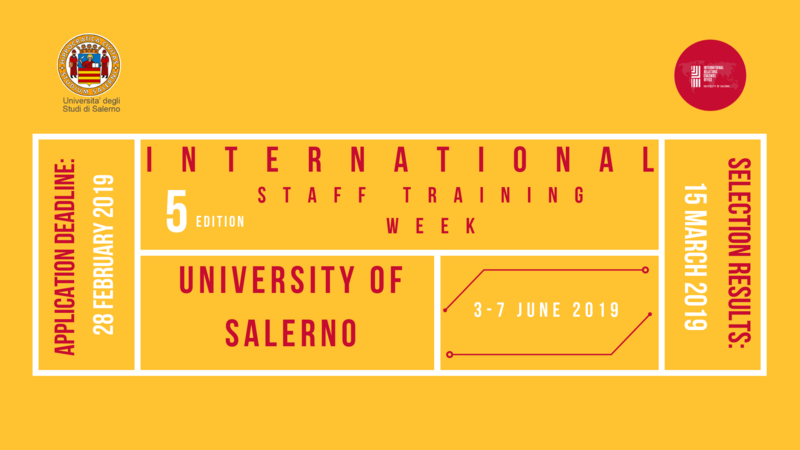 The University of Salerno is happy to invite you to join the 5th Edition of its International Staff Training Week from 3rd to 7th June 2019. The program will focus on the Internationalisation of Higher Education Institutions and therefore applications from staff working on this issue are particularly welcome. 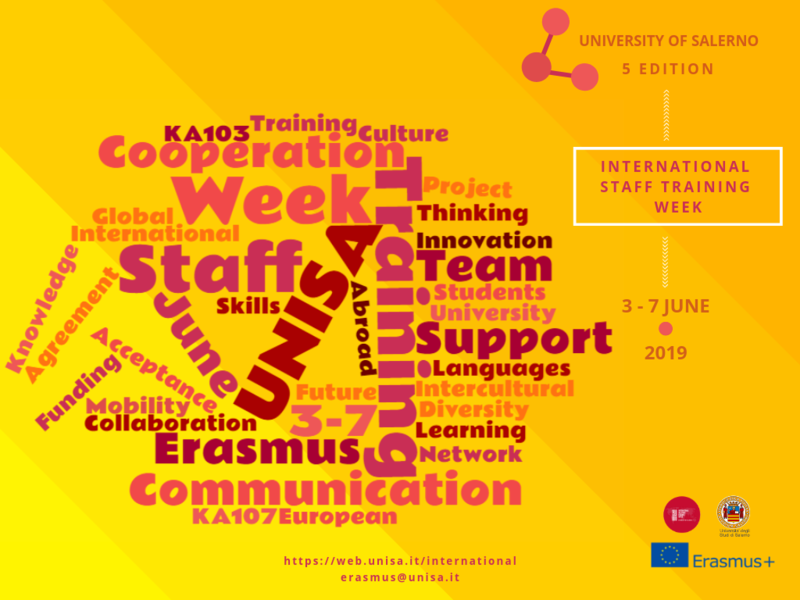 The Week is designed for staff committed to internationalization strategies and opportunities. We do believe that sharing experience and good practice is the best way to improve one’s job and to find new inspiration. We are happy to welcome teaching and non-teaching University Staff with an international perspective so we can learn from each other, consolidate and strengthen current relations and create new partnership. Participants will enjoy the opportunity to visit the beautiful town of Salerno, a natural gem between the famous Amalfi Coast, (UNESCO World Heritage) and the Cilento Coast, with its unique natural landscape and Paestum, one of the most relevant archeological site in Italy. Integration between participants will occur thanks to our social program, including networking lunch and visits offering you the opportunity to discover the excellence of our province. Living and accommodation expenses will be covered by participants. We will select up to 25 participants and no more than 2 participants per university or country will be accepted. Work language for all activities will be English. We are looking forward to receiving your applications and welcoming you next June in Salerno!